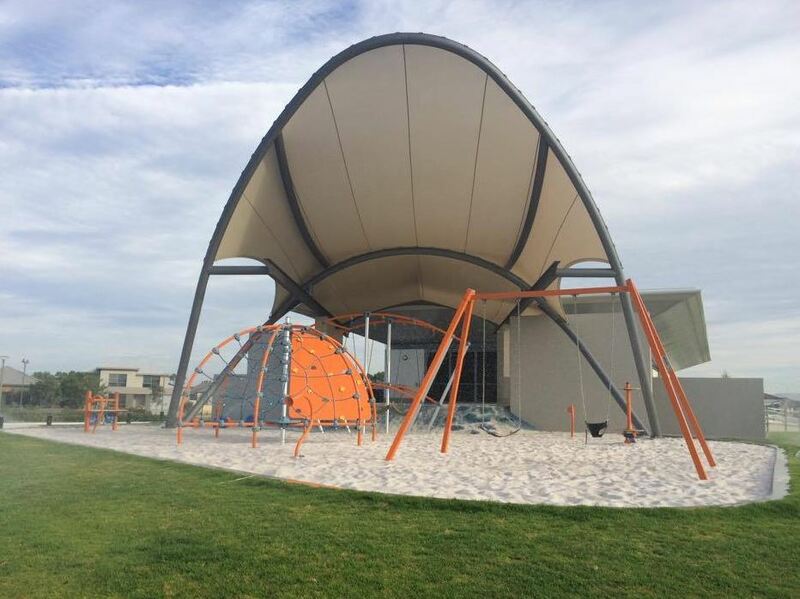 The Piara Waters Pavilion Playgrounds is a lovely little play space with a big shade structure over it and is located alongside the sports pavilion and oval. The playground is perfect for little ones with a long rope swing, small climbing dome and swings. There is also a small rubber rock climbing mound. Sensory play features include a sand table and talk tubes. 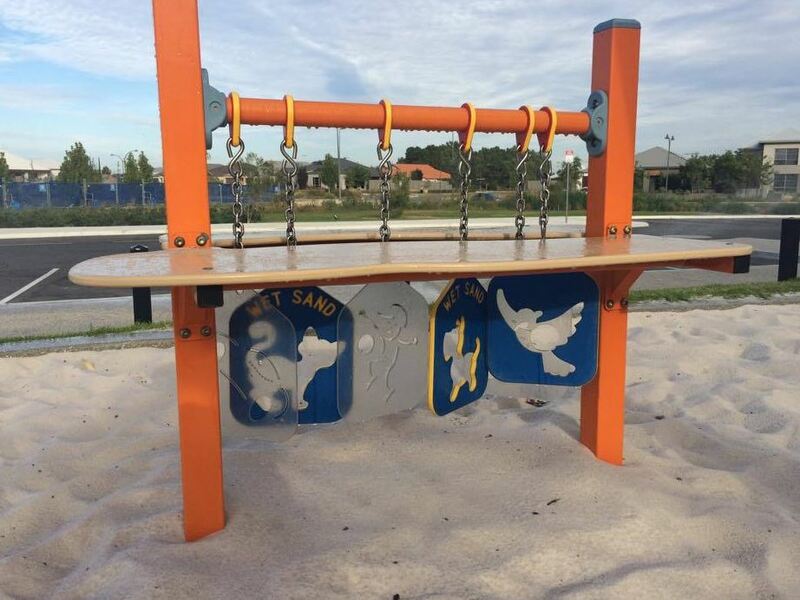 The playground is located outside the Piara Waters Sports Pavilion that can be hired for functions. The toilets are located inside so there is no general access to the public. It is located next to the car park so you need to watch kids closely. There is also a large sports oval here so there is lots of room to run around. 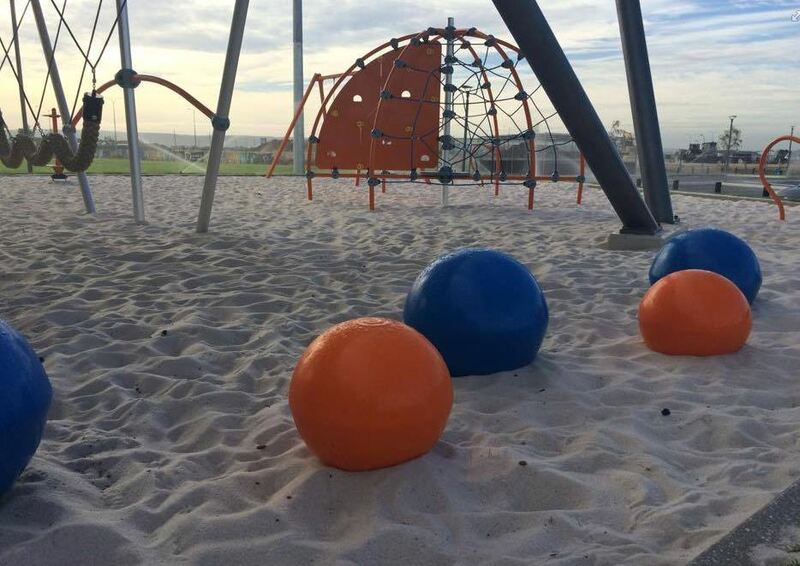 This playground is located only a short drive from Stockland Harrisdale Shopping Centre.